Power over Ethernet (PoE) enables power to be delivered over the same ethernet cable as data with no danger of cross-talk: interference: or corruption of the data streams. 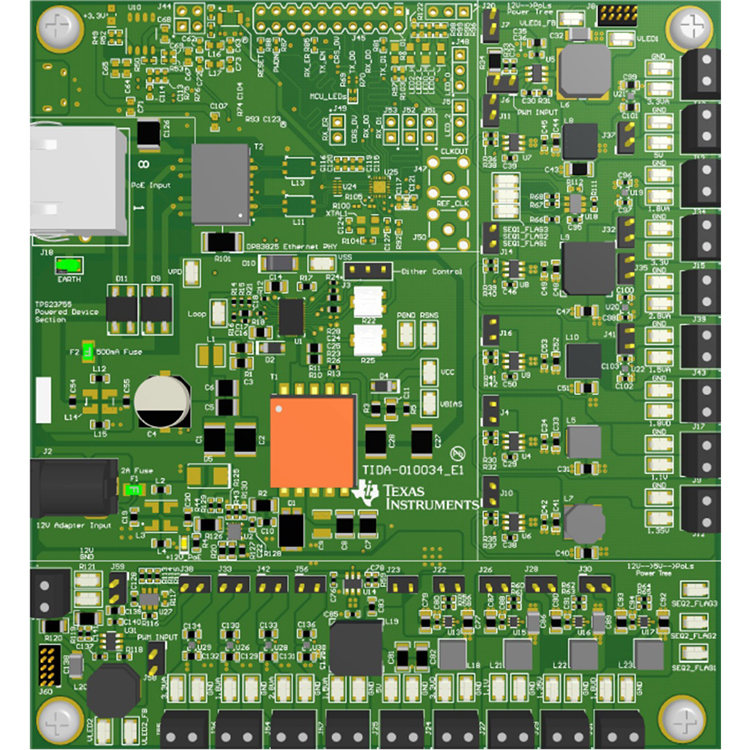 This reference design showcases end-to-end power tree for an IP network camera powered using PoE or 12-V adapter based on the TI’s DaVinci™ Digital Media Processor or different application processor. The power tree also derives rails required for different peripherals of an IP network camera like: Image sensor: motor control: Ethernet PHY: RS485 interface: IR LED illumination: audio: motion sensing and the alarm interface.